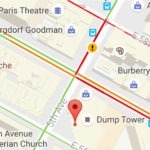 The impressive feat may have been accomplished either by hackers who managed to sabotage Google’s servers, or by a group of people who mass-reported the name of Trump Tower as being “Dump Tower” to the point that Google’s algorithms may have automatically renamed it. The error was spotted by Lesley Abravanel, who tweeted about it, but it can easily be replicated – for now – by anyone who has the app. Similar pranks in Google Maps have been seen before, but never quite with this level of notoriety. We’ve seen one Quizno’s store renamed as “QuizBlows” by an apparently unhappy customer, and residents of the Hollywood Hills have long tried to mislabel the location of the Hollywood sign in order to keep tourists out of their neighborhood. 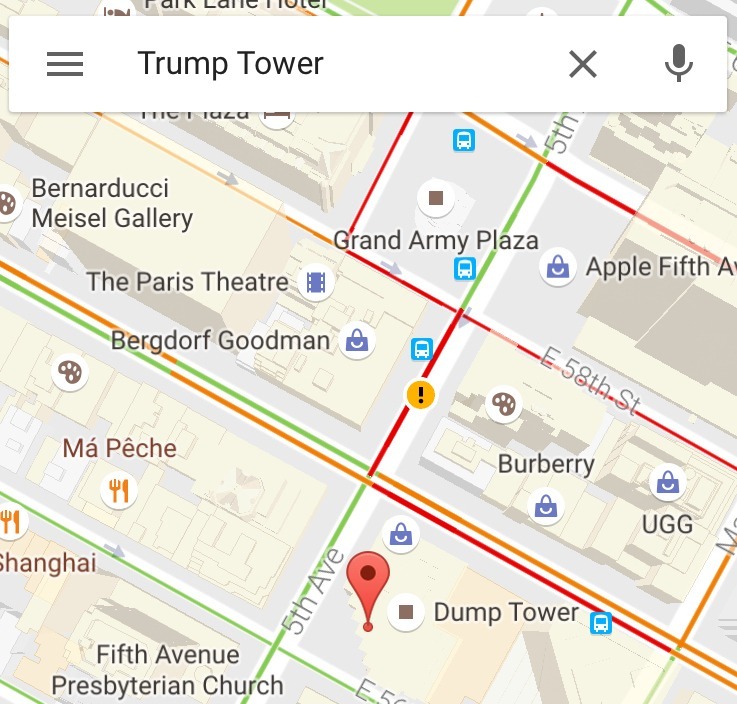 But our guess is that “Dump Tower” will go down as the greatest Google Maps social engineering prank to date.